Posted in Discipleship, Encouragement, Getting Started, Mom Encouragement. 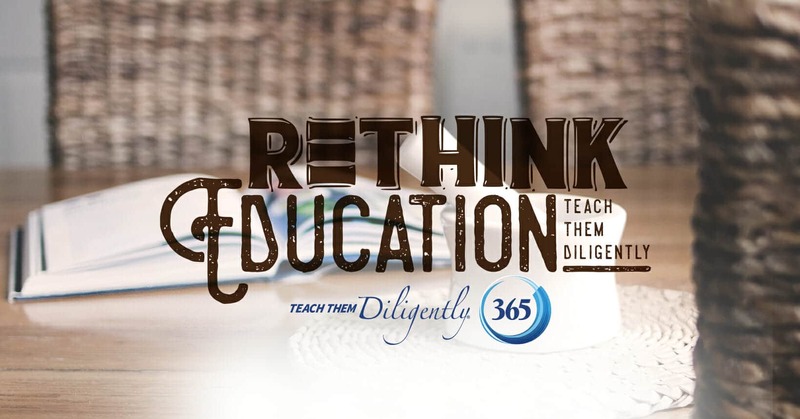 Our theme for Teach Them Diligently 2019 is “Rethink Education,” and you will see that focus reflected in much of what we do this season. In 365, though, we will be spending each week rethinking EVERYTHING—making sure that what we’re doing is the best for our family, making sure that we’re thinking and acting biblically whether it be in our families or our homeschools, and much more! I believe this will be a great year of growth for all of us who decide to walk it together. • If you are a TTD365 member, be sure to check the link for the 2019 Vision Email and to join us in the new community offerings. The conversation there has already been incredible. I look forward to seeing you soon! If you’re not yet a member, get an idea of our vision for this group by watching this short video from a recent member meetup. • Looking for those Bible Reading Plans? The one we are using together is found here. • If you are not yet a Teach Them Diligently 365 member, I hope you will commit to joining us this year. I believe with all my heart that this will be a year of great growth and encouragement for all of us. Click here to get more details and sign up now.